The 21-year-old Scot, a popular winner of a $25,000 event in Shrewsbury in November, hit the heights once more to book a place in today’s last eight. “It was so good again,” she added. “There’s quite a lot of familiar faces from last time that have been coming up to say hello. It’s really nice to feel like I’ve got home support, almost like I’m playing in Glasgow. Wickmayer delivered another strong display to overcome the challenge of French qualifier Jessika Ponchet 6-2, 6-3 in yesterday’s second round. Freya Christie will partner Russian Valeria Savinykh against Schoofs and Serban, the fourth seeds, in one of the matches which will open today’s proceedings at noon. 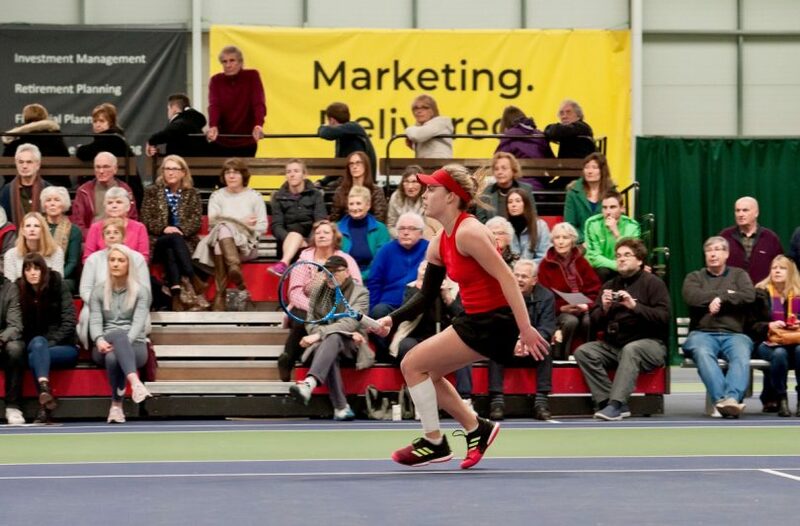 The four singles quarter-finals will be played before another doubles match – Brit Naomi Broady and Australian Storm Sanders against Sharon Fichman and Maria Sanchez – will complete the day’s action from 7pm.